Health and Fitness Den: Comparing Omega J8006 versus Omega J8005 Nutrition Centre Juicer, What's the Difference? Comparing Omega J8006 versus Omega J8005 Nutrition Centre Juicer, What's the Difference? The Omega J8006 and J8005 Nutrition Center Juicers are a great way to ensure you get your recommended 5-a-day portions of fruit and vegetables. It’s fun to experiment with juicing and you can make an enormous variety of great tasting juices, as well as frozen desserts, nut butters, and even baby foods with these high-end juicers. You just cannot beat the Omega J8006 and J8005 Nutrition Centre Masticating Juicers for their high quality. Both the Omega J8006 and J8005 have a low rotation speed of 80 RPMs which means you get no foaming, clogging or heat build up which would normally affect the taste and nutrition of the juice. This system also helps to prevent oxidation and allows the juice to be stored for longer than most other types of juicers. Both of these masticating juicers are equipped with a powerful commercial heavy-duty motor, and are suitable for both commercial and home use. Both the Omega J8006 and J8005 masticating juicers produce a high juice yield through their dual-stage juicing system. With this advanced system, the Omega J8006 and J8005 fully extract vitamins, minerals and enzymes from all sorts of fruits and vegetables, including citrus fruits, carrots, celery, wheatgrass, cabbage and many more. Both juicers have an automatic pulp-ejection system for continuous juicing. · Price difference of around $30 online, with the Omega J8006 being the higher-end model and therefore more expensive. · The Omega J8006 has a powerful gear reduction that is equivalent to a 2-HP motor whereas the Omega J8005 has a 1/3-HP single-phase induction motor. · The Omega J8006 has a new GE Ultem Auger which is made of a different type of plastic which makes it 8 times stronger than other plastics. · The Omega J8006 is slightly heavier than the J8005, with the J8006 weighing 16 lbs compared to the Omega J8005 which weighs 15 lbs. · Warranties are different on these two juicers, with the Omega J8006 having a 15 year limited warranty, while the Omega J8005 has a 10 year limited warranty. · Single gear masticating extraction. · Low rotation speed of 80 RPMs. · Produces less foam and no heat build-up to extract more vitamins and minerals. · Automatic pulp-ejection system for continuous juicing. · Dual stage juicing system to produce high juice yield, with dry pulp. · Built-in “reverse feature” to prevent clogging. · Feed chute opening of 1½”. · UL and cUL approved. · Multiple functions: juicer, food processor, homogenizer, grinder, and pasta extruder. 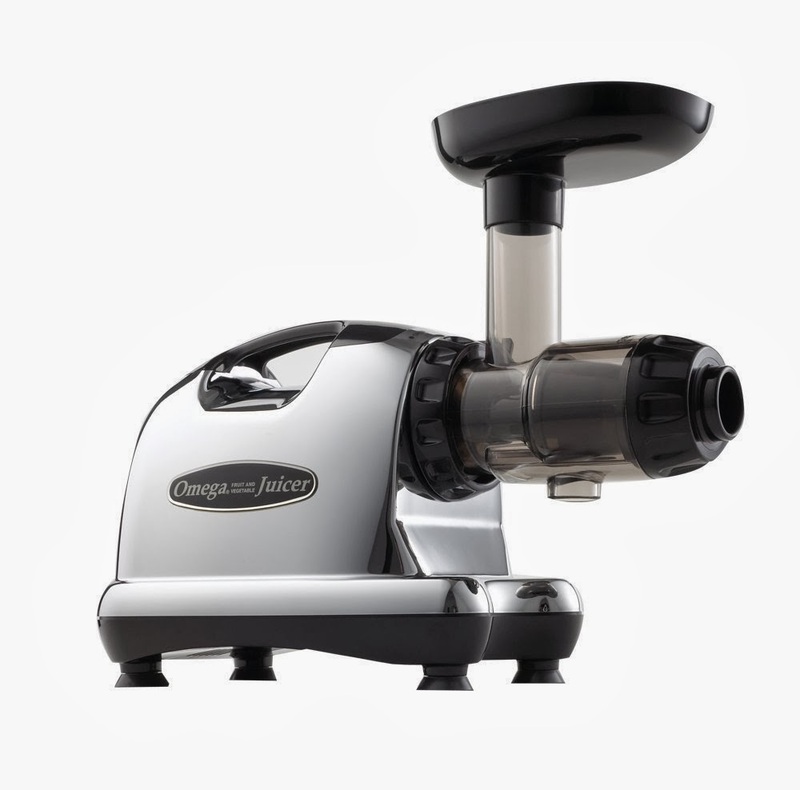 The Omega J8005 is an impressive juicer and would be more than adequate for many people. 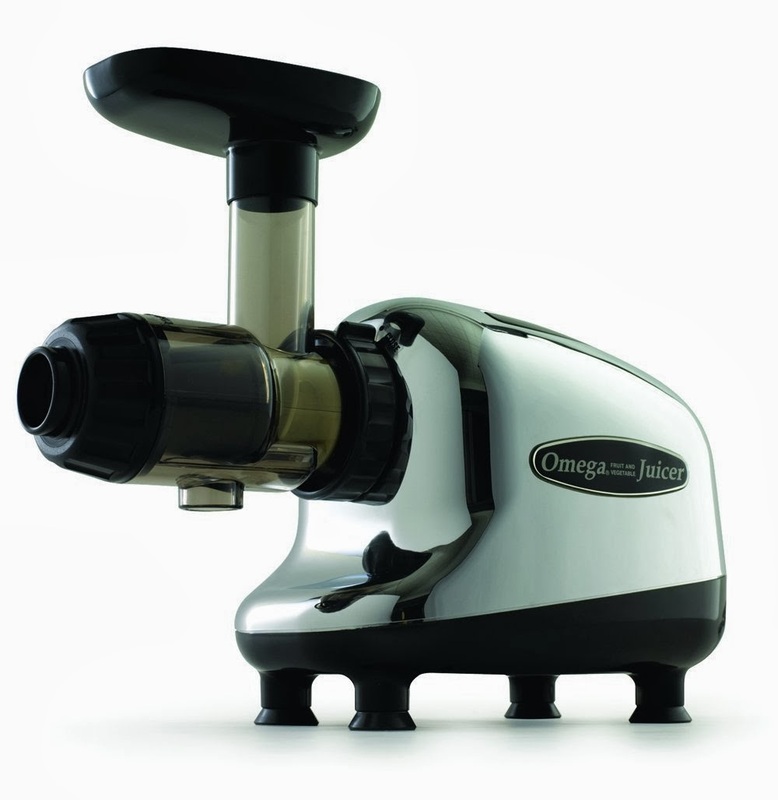 But for the small extra cost of the Omega J8006 Masticating Juicer, you are getting an up-dated model, which is even more robust with a stronger motor, and a longer warranty.